The need for senior dog adoption is great. What makes each of the circumstances creating this need even more saddening is the fact that, despite the wonderful attributes of older dogs and all the best efforts of most shelters, these dogs are frequently overlooked in favor of puppies and younger animals. The ageism that causes seniors to be passed over is a prejudice without merit, as oftentimes it’s the older dog that is best suited for a happy household and a lasting marriage of dog and family. Of course, you can expect your dog’s confidence will blossom as he adjusts to his new surroundings, and the trauma of his loss is replaced by the reassurance of knowing you are there for him. Beyond that, however, his demeanor will be evident in a first meeting, allowing you to fairly size up how he will fit into both your lifestyle and the family dynamic. An older dog has typically had some basic obedience training and is already familiar with the essential commands that will make life enjoyable for both of you (Come. Sit. Stay.). Equally important, he is more than likely also housetrained, unlike his puppy counterpart. If your household includes very young children, you will welcome the fact that you will not have to endure housetraining and potty training all at the same time. That said, don’t believe the adage, “an old dog can’t learn new tricks.” It’s simply not true. If there is a special need and you are so inclined, these old dogs are eager to please and enjoy the attention and mental stimulation your training sessions can provide. 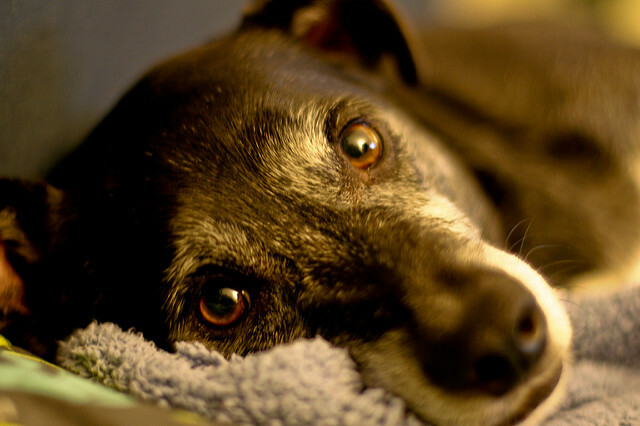 As they age, like each of us, dogs will have health issues that need to be addressed. Many of these common ailments are addressed in the other chapters of this book [see below] so we’ll focus here on the benefits of adopting a senior dog instead—and they are many, especially for aging adults. What better excuse to fire up the muscles and get outside than to walk the dog. A dog’s need to regularly relieve himself and sniff his way around the neighborhood is a great way to get the elderly outdoors, moving joints and muscles, and enabling them to see the beauty around them. Never again will they miss a beautiful sunset, the fall leaves as they change color, or the first signs of spring. Having a dog makes one live in the present and focus on the now. For some reason, a dog creates an invitation to talk. Walking a dog is a great way to meet one’s neighbors and build community. For some reason, the wag of a tail has done more to break down social barriers and build friendships than anything we know. As an aside, dogs are also great listeners. They are known to keep secrets and act positively enchanted even if your singing is slightly off key. Those of us who have been lucky enough to hold a warm dog in our arms, or share the couch or a bed with one, know the benefits of simply listening to the sound his breath. The sound of a dog breathing has a calming effect. Studies show the health benefits of having a pet. Among those benefits is a distinct lowering of blood pressure and anxiety. We’re not surprised. About the Contributors: Sherri Franklin, a longtime animal advocate and rescue worker, founded Muttville Senior Dog Rescue in 2007. Liz Brooking, a Muttville volunteer, is the author of the blog and award-winning book Walks with Sierra.